As December gets closer we start to get excited about all of our fun holiday season traditions! What is your favorite holiday tradition?? I distressed the borders of the paper and added golden crackle paint. Since Anton's first Christmas we are writing letters to Santa, he adores this tradition and Elf Magic is such a great collection to capture these memories. 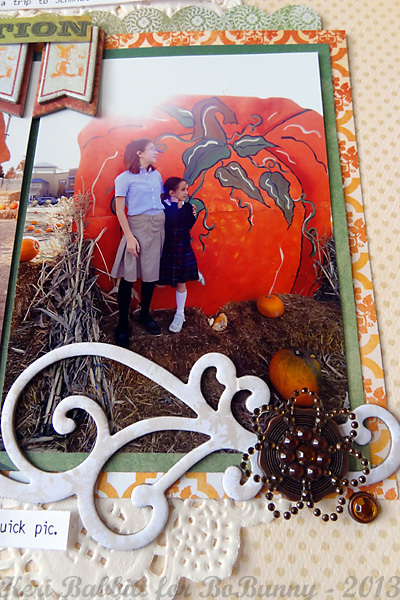 One of our very favorite Autumn traditions is the pumpkin patch. We love picking jack-o-lanterns for Halloween, and pie pumpkins for Thanksgiving! 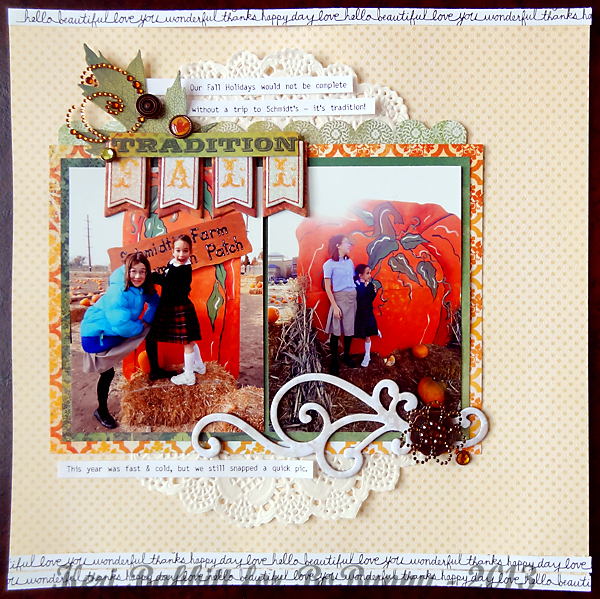 For this page, I chose a creamy neutral background, to showcase the bright Fall colors in the photos. 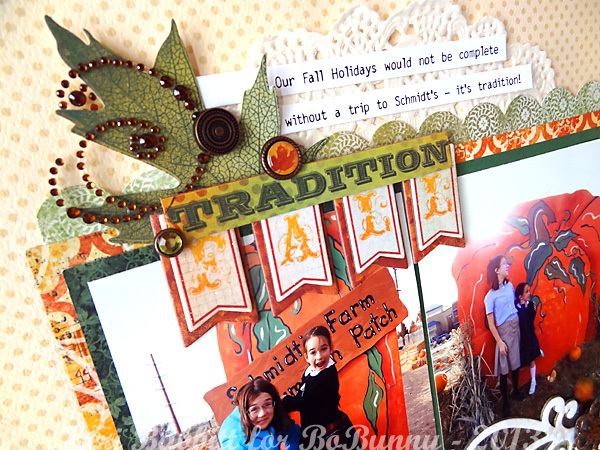 Cream jewels and copper brads were the perfect Fall accents to finish off this page. 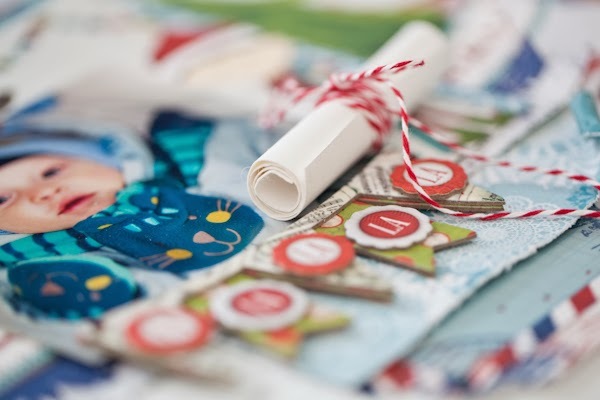 Designer Tip: To customize the look of my embellishment clusters, I layered chipboard, stickers, diecut, jewels and brads from the Autumn Song collection. 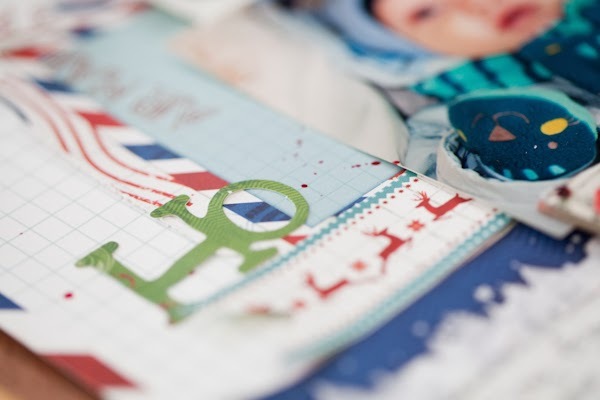 These holiday lay-outs are all amazing! I love how you scrapped your sweet holiday traditions. Thank you for sharing your holidays traditions. It's so nice to see what everyone does from around the world. Awesome projects Ladies! I live in Christchurch, New Zealand so our family traditions are very different. Beautiful Christmas lilies scent the house, picnics at the beach, family gathered and always a fantastic seafood and salads, bbq instead of hot food. Santa photo visits are a thing of the past but he still visits after church on Christmas Eve. We usually eat outside after gift sharing with all the family. Hopefully this year there will be no big earthquakes to take our focus away from Christ's birth.